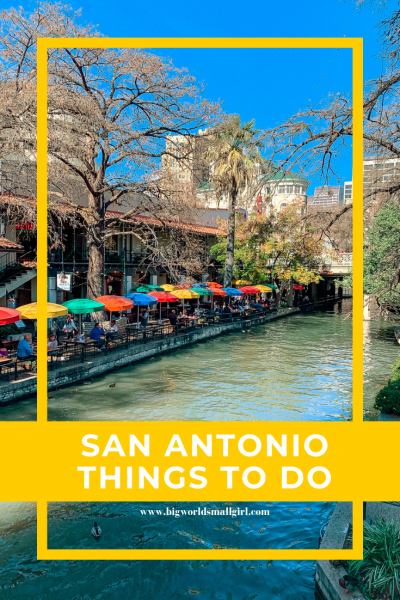 There’s a lot more things to do in San Antonio than the Alamo and River Walk, and there’s much more to their food scene than Tex-Mex and Lone Star beer. Recently, we went to San Antonio for a few days over the holidays. Considering we were there for only a few days, during the holidays, we were able to do so much. After that trip I was like, “Ok, I think I know San Antonio well enough to write up a travel guide.” So here we are! 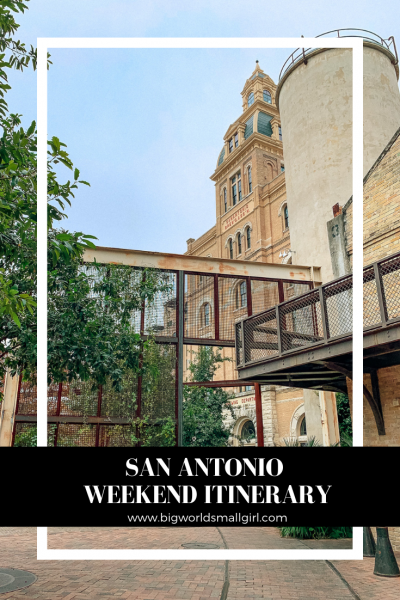 Below I’ve listed my favorite three things I love to do in San Antonio, plus recommendations and a bit of history behind the best spots. 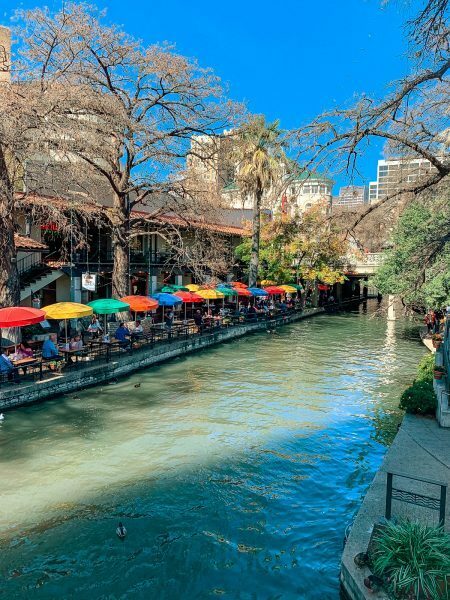 The San Antonio River Walk is 15 miles long and stretches across San Antonio, most notably the downtown area. There’s so much to do, eat, and explore along the river! Important to note that is the most touristy area of San Antonio and you can expect it to be packed on the weekends nearly year round. Still, it’s a fun place. The Alamo because no trip to San Antonio is complete without a stop here. Rita’s on the River is a chill Tex-Mex spot serving up margaritas, fajitas, river views & mariachi music right in the heart of the River Walk. 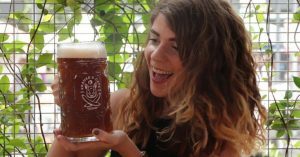 Bier Garten Riverwalk is the spot to go if you’re craving some big mugs of beer. 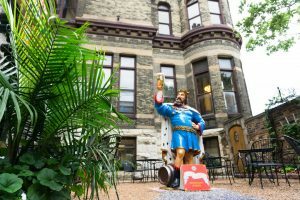 Get a semi-authentic feeling German beer hall experience here. La Villita Historic Arts Village is a cute walking, mall-type area home to several local artisans and shops. Perfect place to shop for San Antonio souvenirs. Blue Star Arts Complex (South of Downtown) features a wide collection of arts venues, shops, and studios with plenty of opportunity to quench your hunger and thirst. The Pearl Brewery was a large-scale brewery operating from 1883 to 2001. Today, it’s home to one of the most happening neighborhoods in San Antonio. The 22-acre Pearl complex is home to dozens of restaurants and shops. The last time I was in San Antonio, we actually ended up visiting this area a few times. There’s always something to do or eat. My tip is to plan a weekend visit when the farmer’s market is alive and happening. 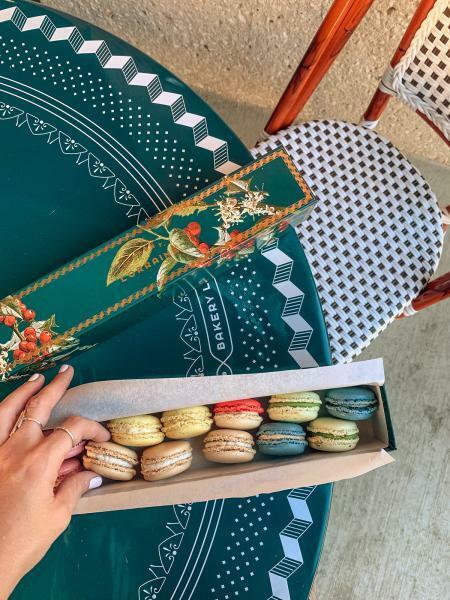 Macaroons galore at Bakery Lorraine at the Pearl. Southerleigh: Best craft beer in San Antonio, no argument about it. I highly recommend getting down with their brunch menu. The interior still contains many structures and equipment left behind by the original Pearl Brewery– it’s a beautiful spot. Bakery Lorraine: Bakeshop set in a remodeled home, serving sandwiches & an array of cookies, tarts, muffins & more. ‘Cue & Brew: Cozy modern joint features BBQ staples, microbrews & upscale global dinners in a warm wood interior. Cured: Situated in a renovated historic building in the Pearl District, Cured is the way to go if you’re looking for meat. All the meats are made in-house and are aged for three months to a year. Bottling Department: The Bottling Dept. is the Pearl’s own food hall. Hamburgers, donuts, and ramen– it’s no secret, there’s plenty of choices for food here. 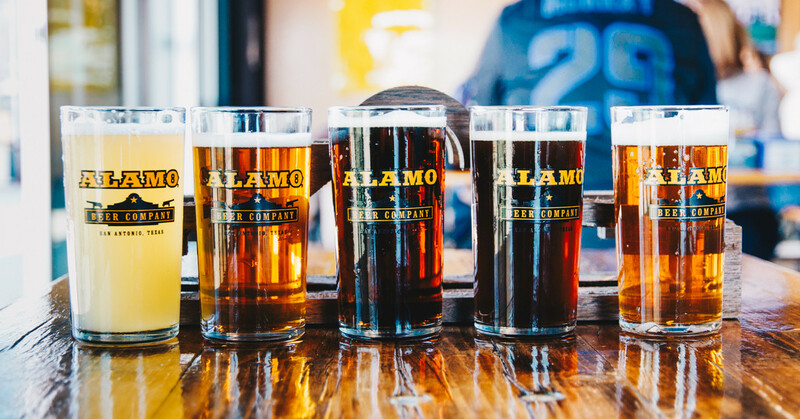 Big World Travel Tip: Looking for more San Antonio breweries? 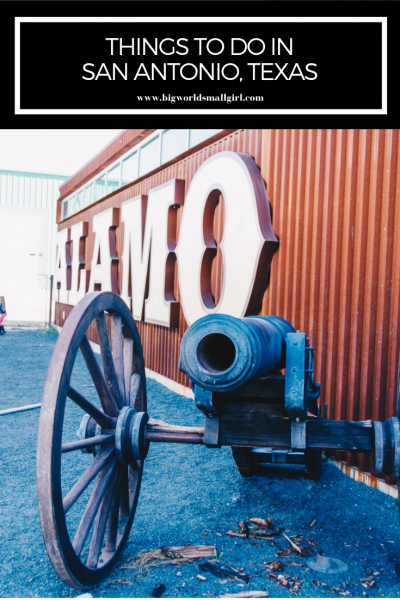 Definitely check out Alamo Beer Company and Künstler Brewing! 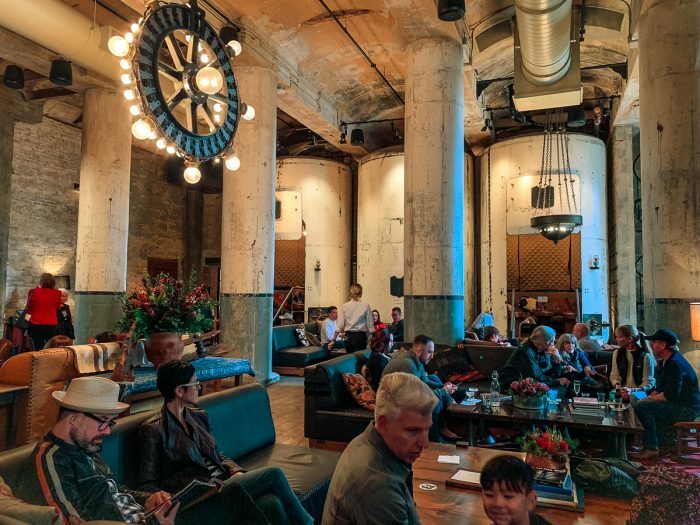 Inside the swanky industrial Sternewirth bar at Hotel Emma. 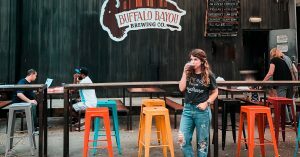 While San Antonio might be lacking in craft beer, they more than make up for it in the cocktail scene. There’s a number of upscale cocktail bars, hotel bars, and watering holes to explore. Not to mention, the city is home to the exciting San Antonio Cocktail Conference which happens every January at the St Anthony Hotel. For more details about that, check out this guide I wrote after attending my first conference. Sternewirth at the Emma Hotel in the Pearl District is the hotel’s bar and clubroom. Come for the city bar authenticity, classic cocktails made without gimmicks, and hearty small plates that satisfy your appetite for flavor and substance. 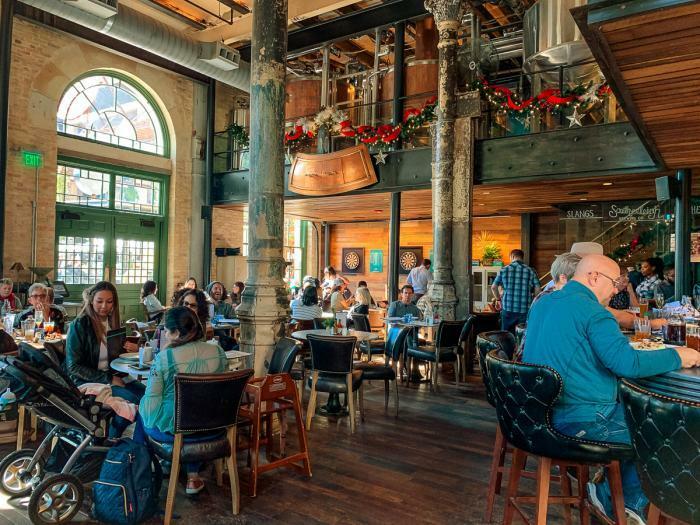 The interior is a feast for the eye and incorporates many of the architectural details left behind after the Pearl Brewery shut its doors. Blue Box Bar is also at the Pearl and is a sleek bar emphasizing classic cocktails served to a buzzy crowd in a modern-industrial setting. Havana Bar in Hotel Havana is a moody, romantic bar right off the River Walk that is putting a spotlight on inventive cocktails in a comfortable, loungey setting. They also won Best Hotel Bar in 2018. The Esquire Tavern opened in 1933 as a celebration to the end of prohibition. These days, the bar is still serving delightful libations & pub grub in vintage digs with a patio & the longest wooden bartop in Texas. Check out the downstairs speakeasy for a more relaxed vibe. Found this guide helpful? Pin these to Pinterest to save for later!